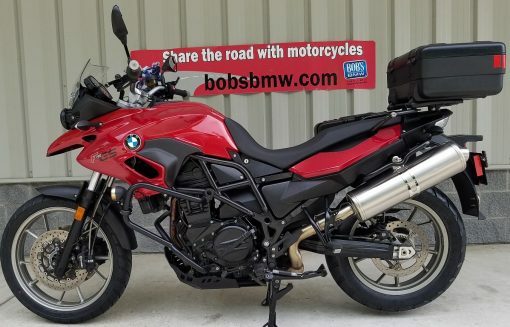 We sold this F700GS to the one and only owner in April of 2013 here at Bob’s BMW. 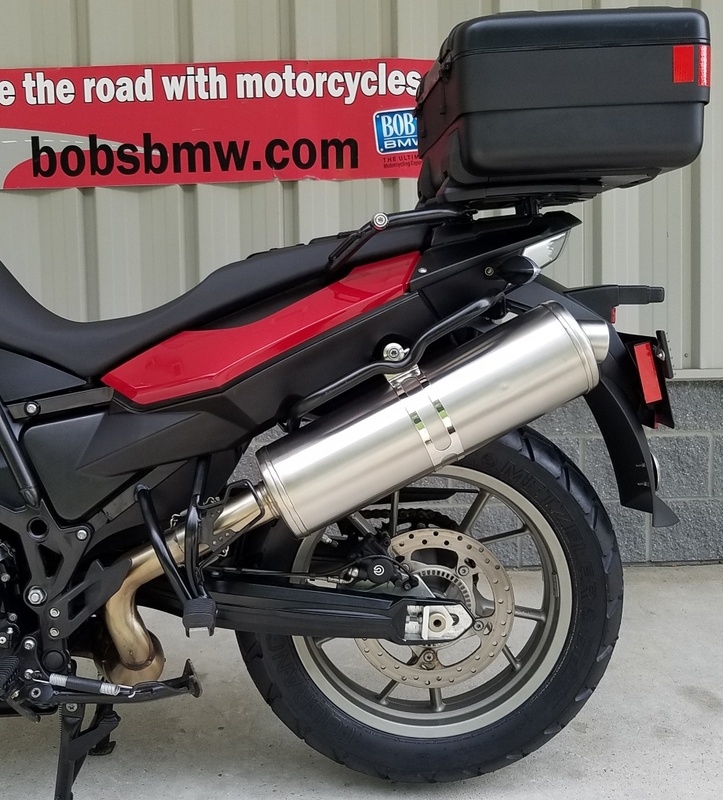 This F700GS came from the factory with the very desirable low suspension package. This includes a factory low front and rear suspension with the low seat and a factory low center stand. 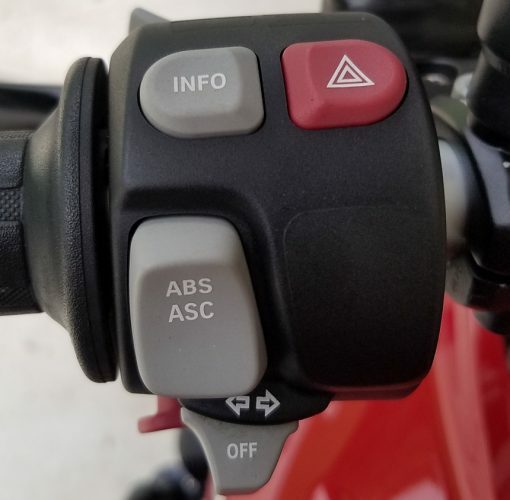 It also came from BMW with heated grips (a must), saddle bag mounts, TPM (tire pressure monitoring) and ASC (automatic stability control) and ABS (anti-lock braking system). Call one of our certified BMW sales advisors for the low down on the benefits of ASC in combination with ABS and how that can improve the safety and confidence experienced on a motorcycle ride. This GS was delivered with the very sharp Red Apple Metallic paint with gloss black painted frame and swing arm. The previous owner did a great job adding the right accessories and we are including the BMW Vario Side and Top Cases that are keyed to match the bike. 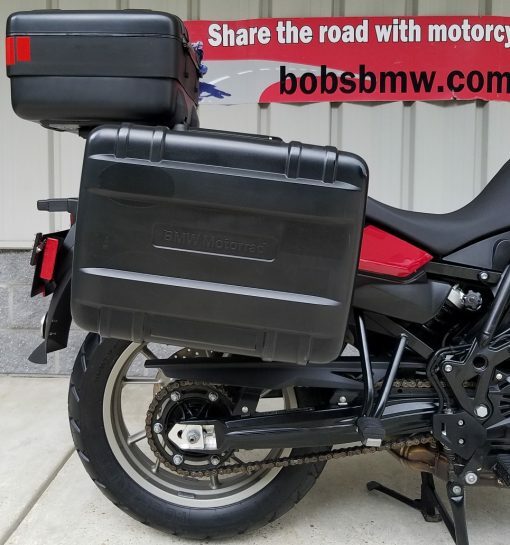 These expandable cases are great for commuting and weekend motorcycle travel and are easily removable when you want to just hit the twisty’s on a Sunday afternoon. 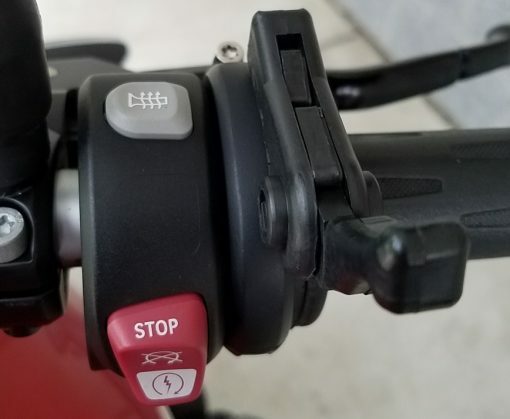 Included with the bike are also a really nice set of Altrider engine guards and skid plate (the really strong off-road one) and PIAA auxiliary lights and Skene P3 brake lights. The 2013 comes with a 798cc parallel-twin engine capable of over 70hp. Disk brakes front and rear with ABS. Chain driven and capable of getting up to 60 mpg. The F700GS was the smallest of the GS’s made at that time and with the low suspension it gives riders with a smaller inseam the opportunity to experience the benefits of riding a BMW GS without sacrificing confidence. 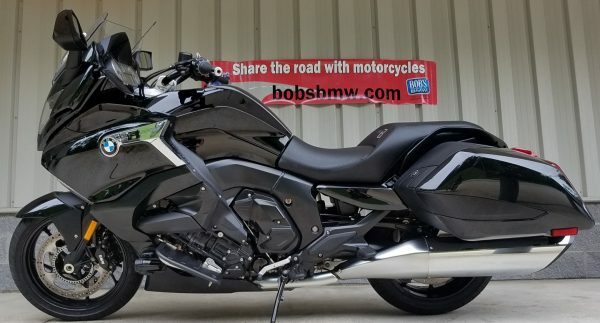 If you felt that the GS’s are just too big and that you would never be able to find one that you would be flat of sure footed with then you will need to come down and have a seat on this model. BMW did a great job with the suspension package on this one and that along with the cases and accessories makes this a great opportunity for someone. 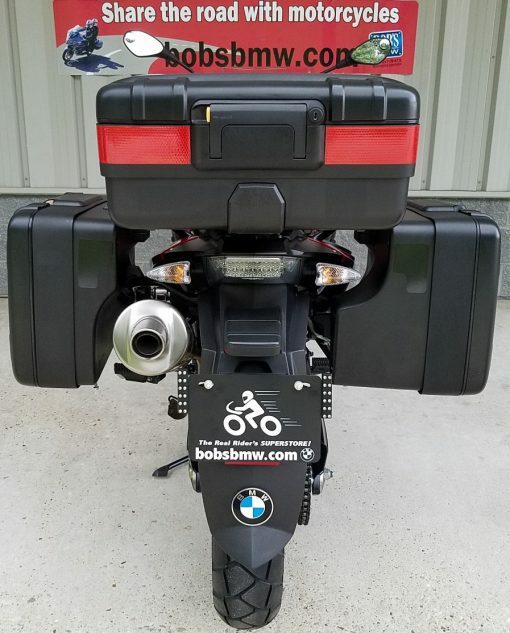 The previous owner, and regular Bob’s customer, did a great job of taking care of this bike including doing all the services on time. 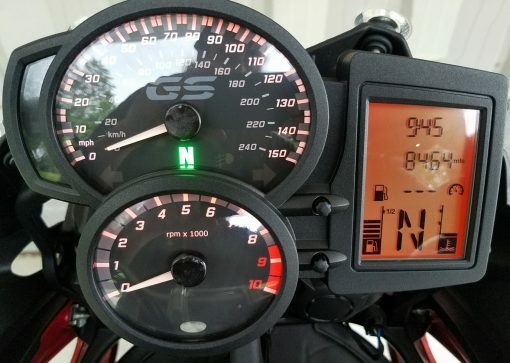 He had the 6K + Annual Service completed early at 5,126 miles on 03/2016. Despite only being roughly 3,000 miles it had been two years so we went ahead and did a Bi-Annual Service. 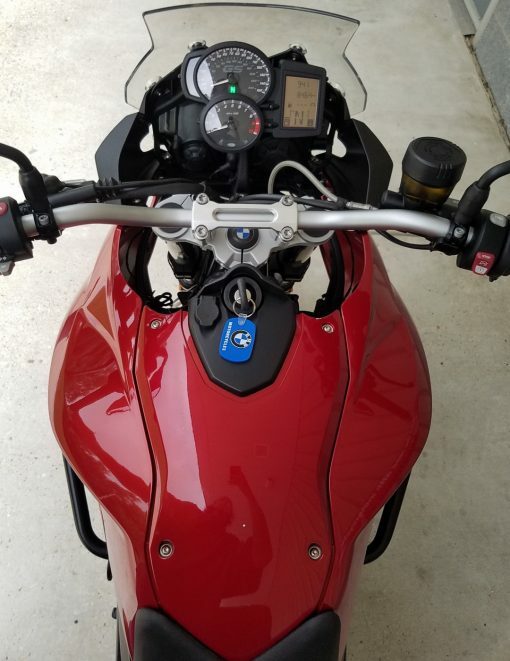 That service includes engine oil and filter, brake fluid, checking the computer for faults, resetting the service reminder, adjusting the chain and our 38 point safety inspection and extended test rise. We also installed brand new Metzler Tourance tires front and rear. 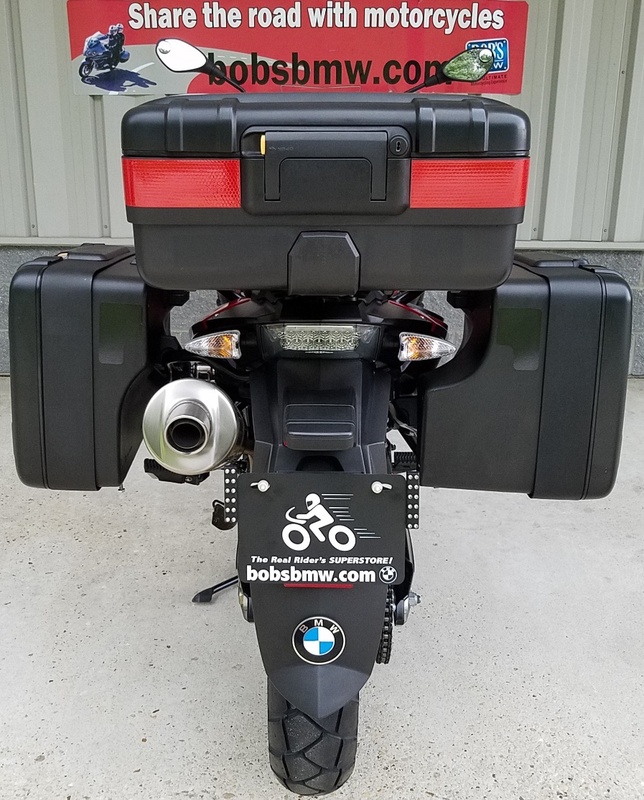 We wanted to set up the next owner for a worry free fun riding. 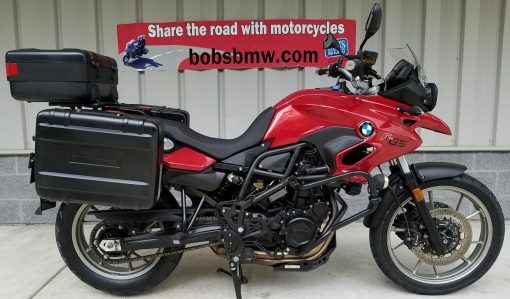 This F700GS will not need service for 12 months or 6,000 miles, whichever comes first. 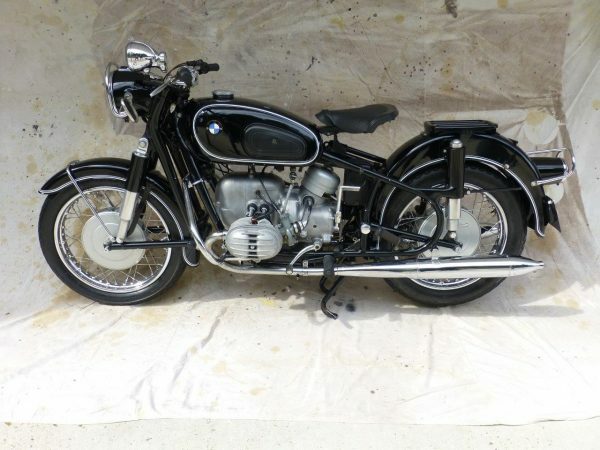 Cosmetically the bike is in really good shape. It was ridden and in turn has a couple scratches, paint chips and wear. Overall we would rate the bike a very critical 8.5 – 9 out of 10. The center paint panel has a couple of paint chips. Most likely from a tank bag. The seat looks very clean but there is some aging. 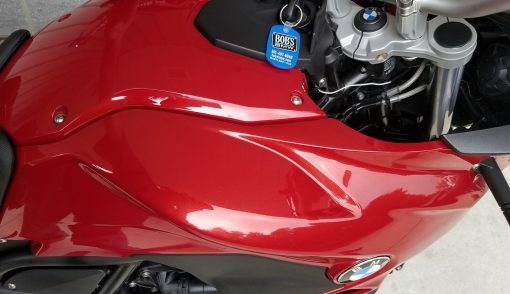 After our detailer got a hold of it and spent a couple hours the bike really shines. The wheels, console, side panels, windshield etc. look new. There was a tip-over at a stop (non-moving) that caused a couple scratches on the left hand engine guards and a scratch on the clutch lever, bar end and on the PIAA aux light. Some boot marks of the luggage as well. We touched up those spots and they are not noticeable now but as always we want to be transparent. 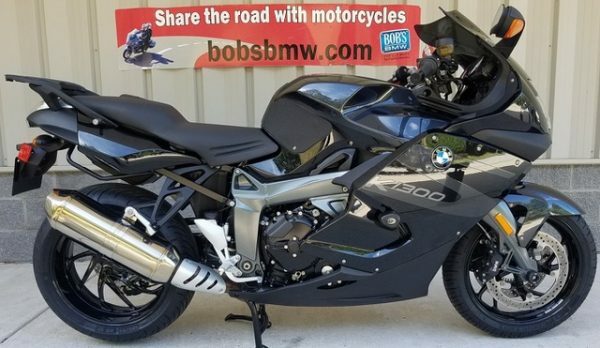 Besides that the bike really looks very close to new. Especially the with the Red Apple Metallic / Black paint. 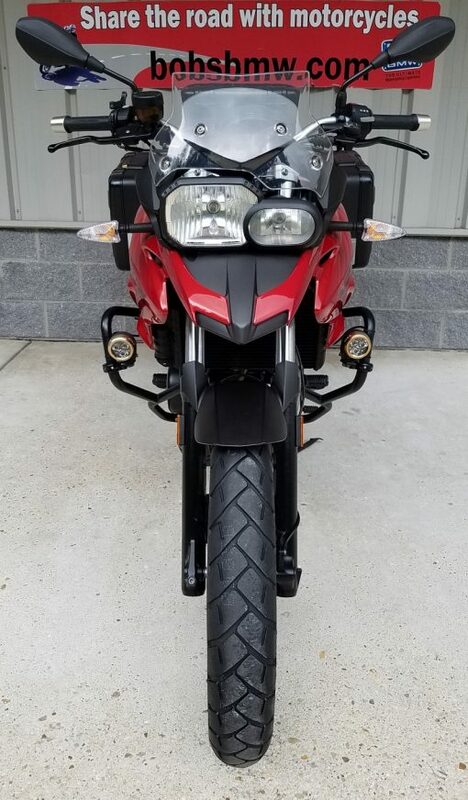 This F700GS really stands out. Included in the sale are the original tool kit, owner’s manual and two keys. 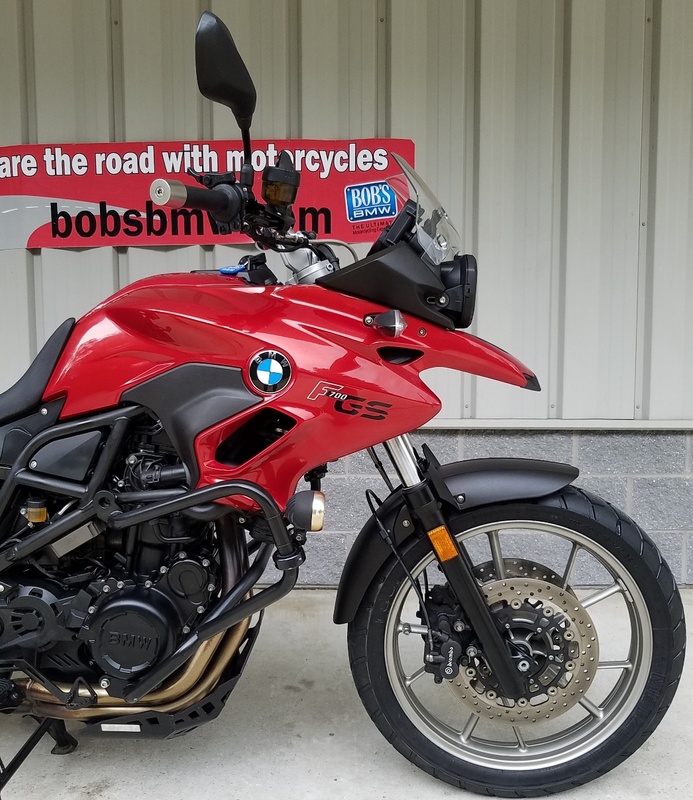 As a Bob’s BMW Advantage Certified motorcycle it also qualifies for our 30 day major mechanical guarantee, discounts on a Zurich service contract and or Tire and Wheel protection and a free loaner during your first service interval. 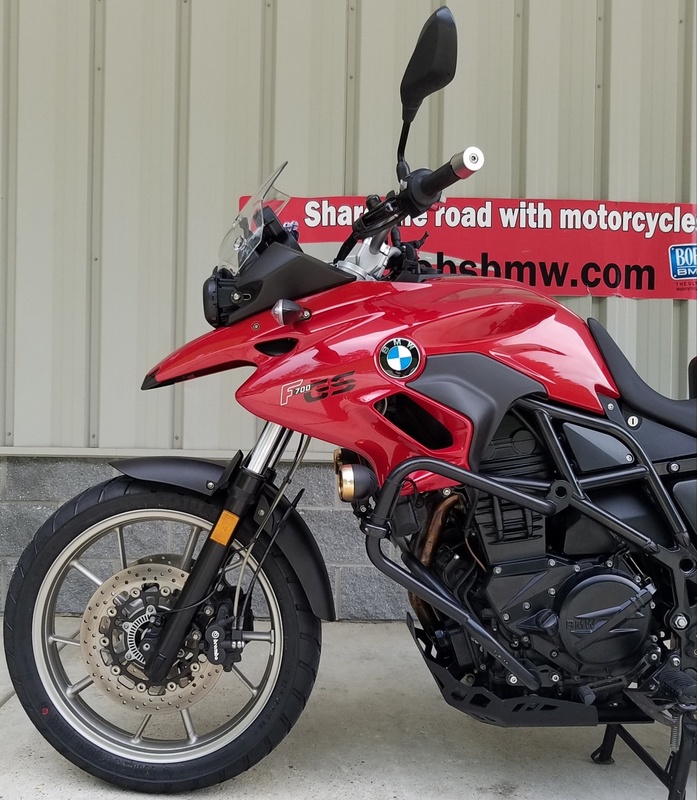 The last pre-owned F700GS we brought in didn’t last for more a week or two. These find new homes fast. Please contact one of our certified BMW sales Advisors today for more information, a test ride ore to put a deposit on it today!